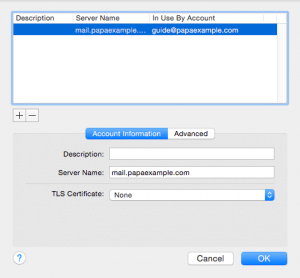 If you see a notice message in Apple Mail, that states the identity of “mail.yourdomain.tld” cannot be verified, this article will guide you on how to fix it. 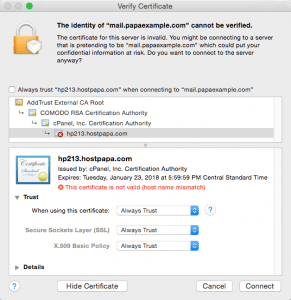 Once you receive the notice message as shown in the screen capture above, click the Show Certificate button to the left and you will be taken to the SSL certificate overview page. Expand the Trust option and you will see several available selections in three different drop down menus. Select the first drop down menu and choose “Always Trust” which should stop the notice prompts from occurring, the other two drop down menus will then auto populate to Always Trust. Once your selection has been made, click Connect. Your connection is still secure, the SSL Certificate is simply expecting the server hostname rather than your mail.yourdomain.tld. We are testing methods of avoiding this notice being given entirely, but we do not presently have an ETA. 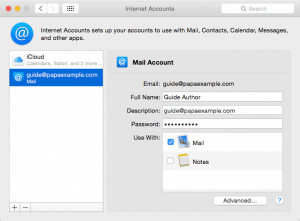 Open your Mac Mail application and look in the upper right hand corner of your screen for the “Mail” option in the menu which you will need to select and then choose “Accounts” from the menu it presents. 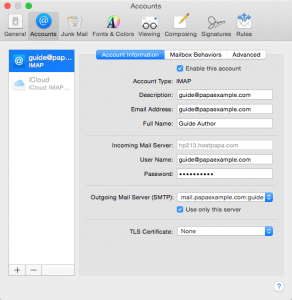 Select the email account you are having trouble with in the left hand menu of the following page and then click the Advanced button. Once it loads down bottom of that page you should see “Server Name” which needs to be changed from mail.yourdomain.tld to the server hostname provided in your welcome email. If you do not know your server hostname, our support team can provide that to you. 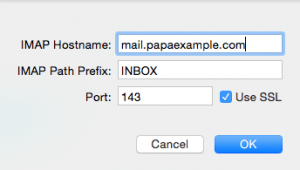 Please note if you need additional assistance with this such as the hostname for your server/account or if you need any help, please open a support ticket from your HostPapa Dashboard. More details on how to open a support ticket can be found here.